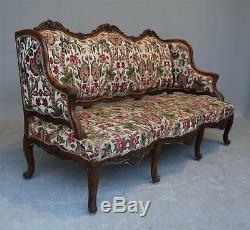 Large bench with ears louis xv style work nineteenth time walnut, sculptures of a remarkable quality closer to the work of Lyon nogaret, tapestry decorated with flowers and multicolored leaves nineteenth time of dimension 107 cm in height 195 cm width 75 cm deep. 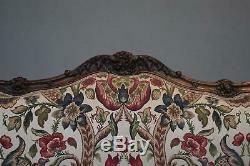 The item "louis xv nineteenth century louis" is on sale since Tuesday, November 7, 2017. 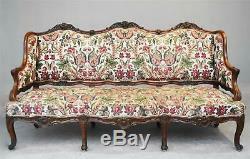 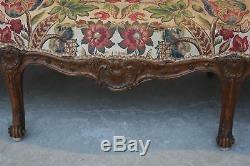 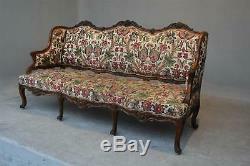 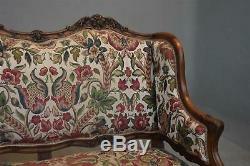 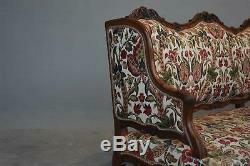 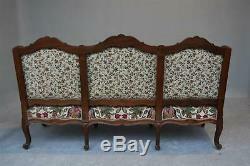 It is in the category "art, antiques \ furniture, decoration xix \ sofas".